Dr Jengo's World: GTA V Story DLC - Coming or not coming? A long, long time ago.. Back in Dec 2013..
Rockstar Games said that there will be more Story DLC for GTA V..
"GTAV Story Mode Updates. For those ready to jump back into the story of Grand Theft Auto V, we have big plans for substantial additions in 2014 continuing Michael, Franklin and Trevor's action, mayhem and unexpected adventures in Southern San Andreas." and then again in April 2014 in another article..
"And later this year, look for even more additions to both Grand Theft Auto Online and Grand Theft Auto V, including more holiday-themed updates, some very exciting Story Mode DLC and much more." 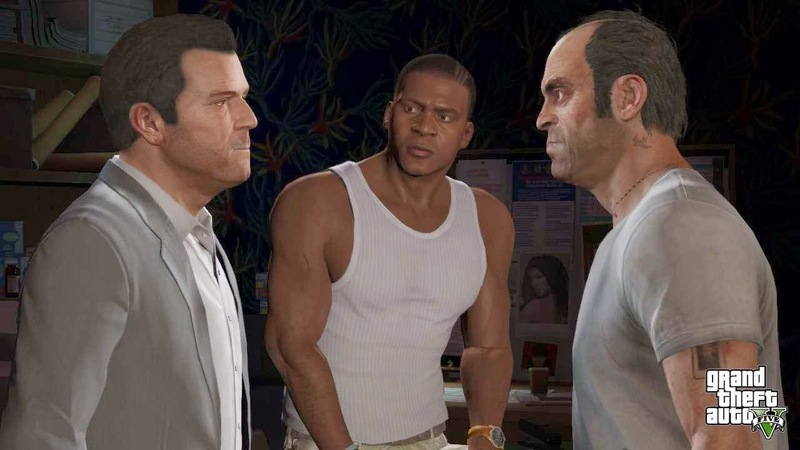 Fast forward to present day.. During a Take Two earnings call, CEO Strauss Zelnick claims that there was no Story DLC planned, but there will be more content coming for GTA Online. I started digging up my old blog posts to look for the articles and found those 2 links clearly stating that there was Story DLC planned..
And it looks like Strauss Zelnick might have forgotten about it.. Can't blame him, that was ages ago..
"Strauss misspoke during today's call, as over a year ago Rockstar Games had said that they were exploring story mode content for Grand Theft Auto V; however, no further information has been released since. As always, we leave it to Rockstar Games to share information about their games when they're ready." Phew! Guess we have to wait a while longer for an update from Rockstar Games themselves.. Speaking of DLC.. what happened to that Alien DLC rumour?